In my role as a professional lecturer I speak most of the time to a captive rather than captivated audience. When I address a freely-invited group who, afterwards, in some small way, show their appreciation, it is most flattering. But in my view the best accolade that any speaker can receive is when someone is stimulated enough by the material to do something constructive in consequence. In October 2013, as part of the Lewes October Feast, I gave a talk at the John Harvey Tavern about Ye Ancient Order of Froth Blowers (AOFB), a beer-drinking, charitable, voluntary organisation of the interwar period. A couple of people did confess to me afterwards that, for at least the first ten minutes, they had thought the subject-matter to have been a spoof; but the story of the AOFB did entertain a certain Mr. Bob Oliver (pictured standing in the final photograph of this post) enough for him to go out and form his own Friends of the Froth Blowers branch on the basis of it. 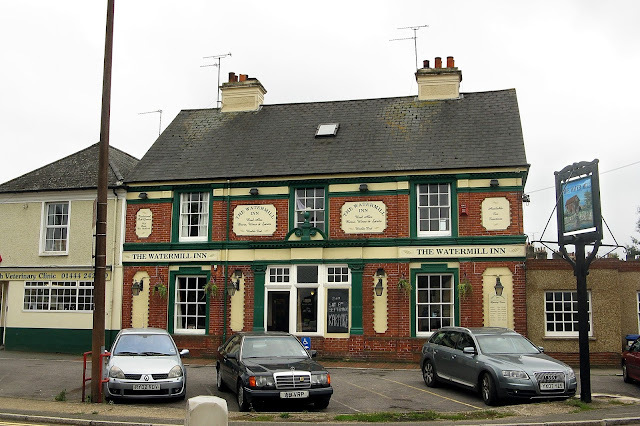 The Friends of the Froth Blowers at the Watermill Vat held their inaugural meeting in November 2013 at the Watermill, Leylands Road, Worlds End, Burgess Hill (pictured below). 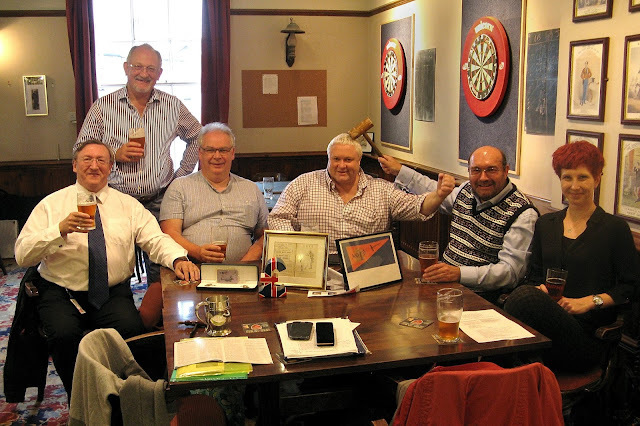 They now have full and associate members who are keen to keep alive the memory of the AOFB, founded in 1924 by ex-serviceman Mr Bert Temple, in conjunction with eminent surgeon Sir Alfred Fripp as a way of raising funds for the latter’s “Wee Waifs” charities for deprived and invalid children. 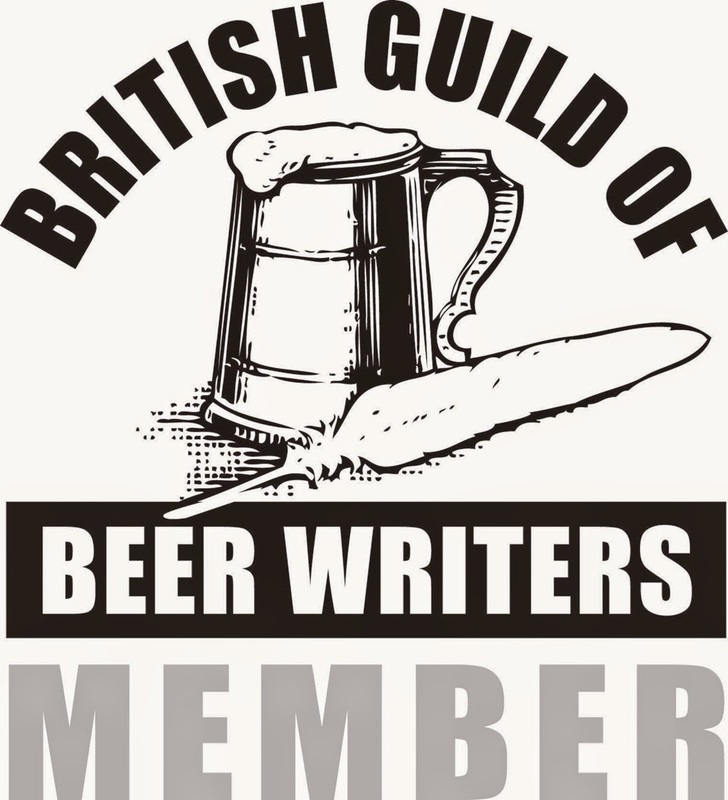 Branch meetings took place in pubs, clubs and hotels, humorously referred to as “Vats”, where beer was drunk in jovial accordance with rites, rituals and regalia of a spoof Fraternity Organisation or Masonic Lodge. By the time of the AOFB’s demise, in 1931, an astounding £100,000 had been secured for charity. The Watermill Vat were pleased to attend the annual plaque wetting of the AOFB on 10th May 2014 at what was the premier Vat No. 0, Swan Inn, Fittleworth, West Sussex. The £60 raised was donated to their locally supported charity, The St Peter & St James Hospice. Since forming they have been able to obtain the following original AOFB artifacts and merchandise: Member’s Booklet No. 345957, with an address in Hampstead; Blaster and Tornado badges plus a couple of branded playing cards; all full members have AOFB cuff links, while a female associate member is the proud owner of a Fairy Belle wristlet. They all have a copy of David Woodhead and Ian Brown’s (2012) The Zestful Gallopers, a full history of the AOFB. 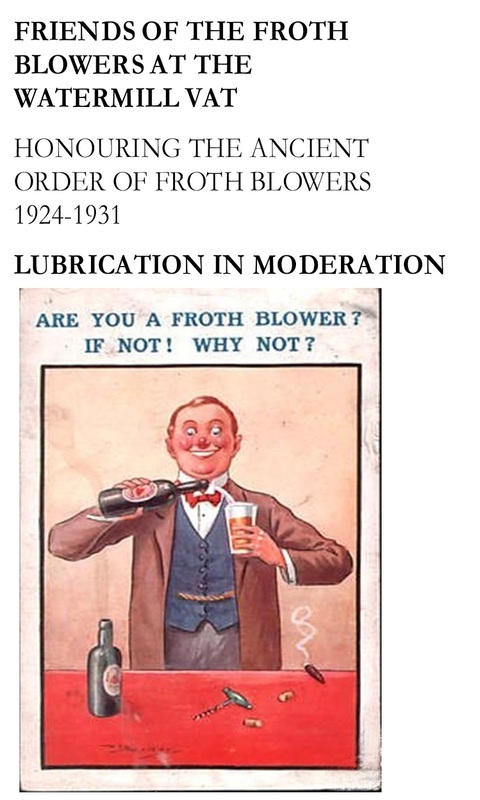 Froth Blowers at the Watermill Vat Burgess Hill.